Circular burgundy neck-piece is a large necklace that wraps around the shoulders nicely. 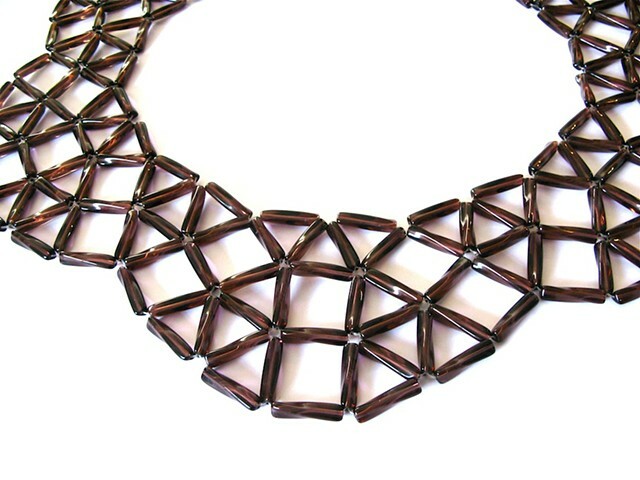 It is made with large burgundy transparent glass beads interwoven with a nylon thread in a geometrical pattern that converges towards a circle. “Man did not weave the web of life, he is merely a strand in it. Whatever he does to the web, he does to himself” Chief Si’ahl (Seattle), 1780-1866.